It’s a great day to be a Marvel fan. It’s safe to say we’re set until 2019 for films that cater to our superhero-loving hearts as we enter Phase Three of the Marvel Cinematic Universe. But while there’s no doubt we’re all eagerly awaiting the release of Captain America: Civil War, what we should really be excited for is the total game-changer for the MCU – Doctor Strange. Our first look at the film introduces us to the title character, Stephen Strange aka Doctor Strange, and gives us a sneak peek at the reality-bending adventure we’re about to be taken on. The ever handsome Benedict Cumberbatch is set to take on the role of the Marvel‘s Sorcerer Supreme. 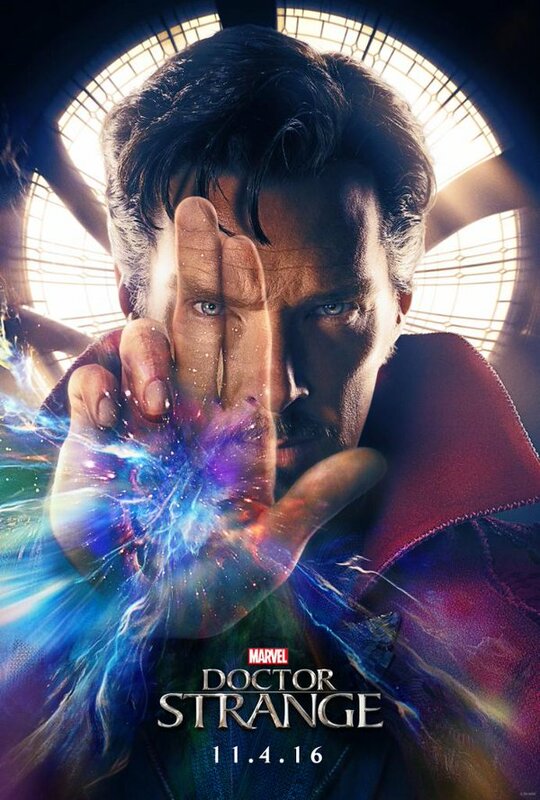 Faced with devastating injuries from a car crash that cuts short his career as a neurosurgeon, Stephen Strange is soon introduced to a world of magic and alternate dimensions that is sure to screw with both his, and our minds! You can work your magic on us anytime, Benedict. Source. If the trailer is anything to go by, the film is quite possibly going to knock our socks off on October 4. From a delicious sounding American accent from our beloved Cumberbatch, to incredible special effects (parts of the film have even been shot in 3D! ), Marvel fans will have to wait patiently to see how Doctor Strange totally changes the MCU we’re used to! Cumberbatch will also be joined in the film by the illustrious Tilda Swinton and Mads Mikkelsen. Check out what we had to say about the other huge trailers that dropped earlier this week – Suicide Squad, and Fantastic Beasts and Where to Find Them!